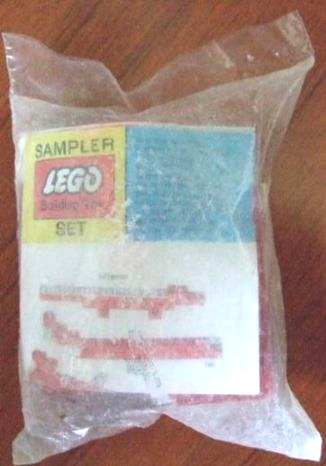 I recently won an Ebay auction for what was listed as a KRAFT mail in set. I have a couple of things that I need help clearing up. 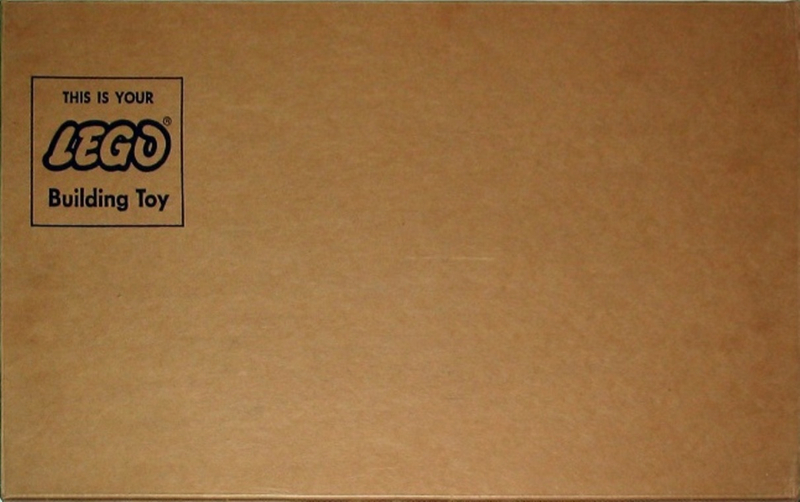 and the box also has the 61598 stamp on it. I did not try to mark out the address. So my question is, is this really set 159? If not which set is it? 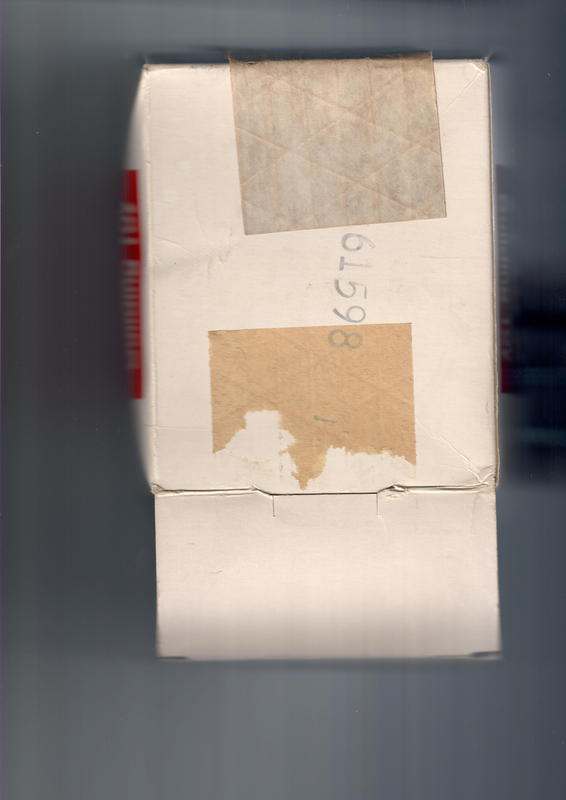 If my research is correct the stamp on the box indicates a KRAFT set, drop the 6 and the 8 and you are left with the set number. 8 indicates Kraft? Which goes along with the front return address on the box. This also makes me believe that the 159 sheet belongs with the box. The 8006 order form would also be a Standard KRAFT item. 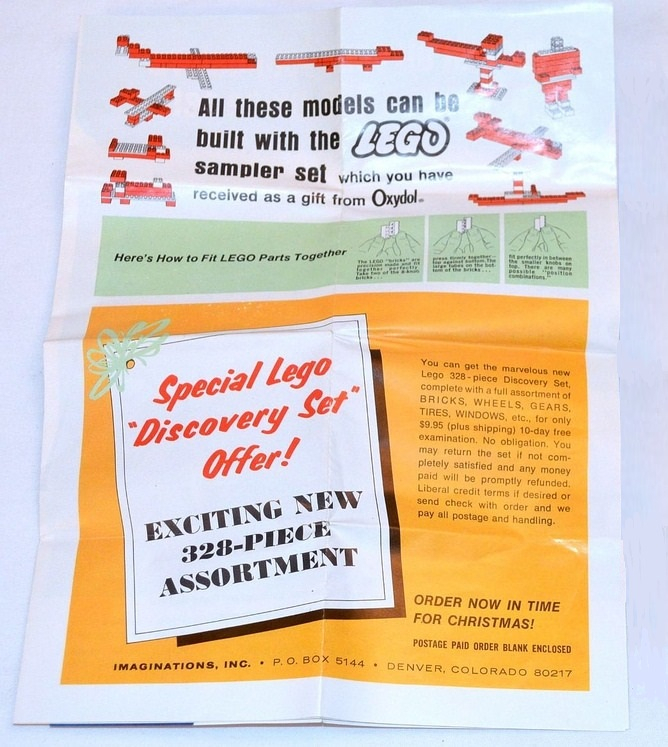 I can not find a reference to a set 159, I know that Life cereal also did mail in promotion, and I believe that one of them had a piece count of 159. Same set? Different promotional offer? 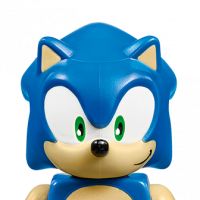 The parts also has blue and yellow bricks which Samsonite quit putting in the sets towards the end. 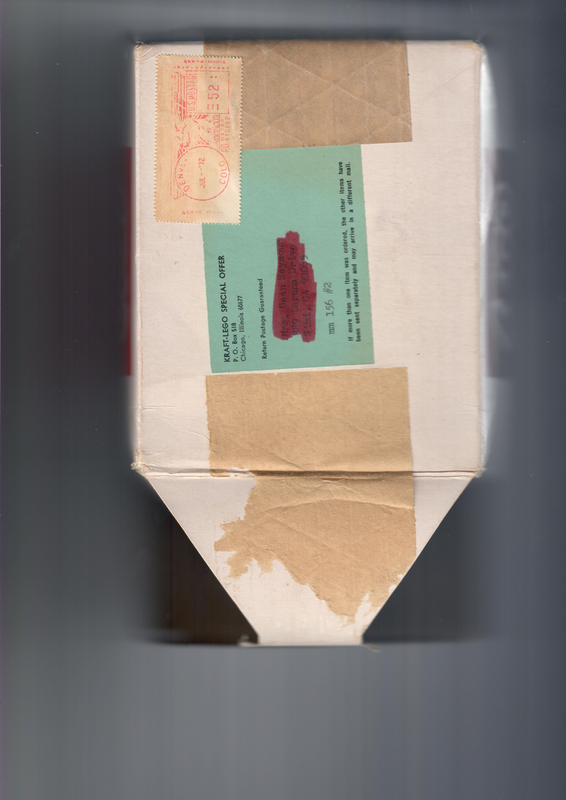 BUT the post mark is 1972 so clearly at the very end of Samsonite LEGO in the US. @Istokg @LusiferSam any ideas or help? The set was mailed from Denver so it looks like Samsonite mailed it if that helps. Cool find! I'm sorry I missed it on eBay. It isn't a set I'm familiar with. Maybe Istokg might be. Because the set is loose it's basically impossible to know 100% for sure what you really have. 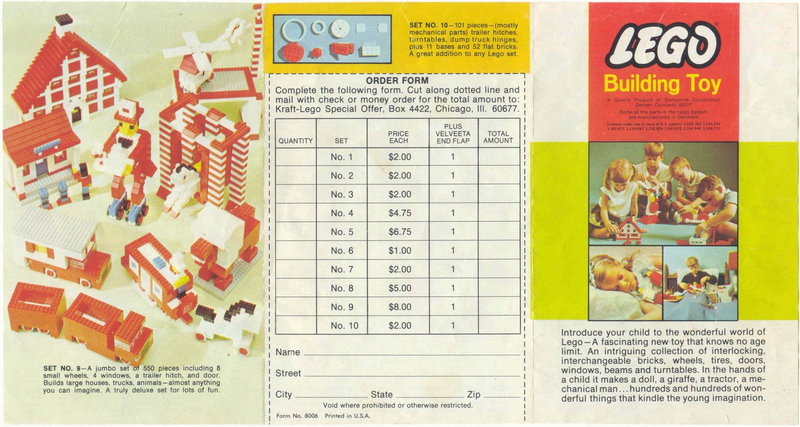 Yes, Life Cereal set 2 had 159 pieces and showed similar building ideas on it's flyer. Is possible that it's the same set but with a different number and different promo offer? Sure. In fact it seems more than likely. Life Cereal set 3 is the same set as Kraft set 5. What's on the other side of your form 8006? The normal Kraft Velveeta promo flyers I'm use to don't have 10 sets on them. 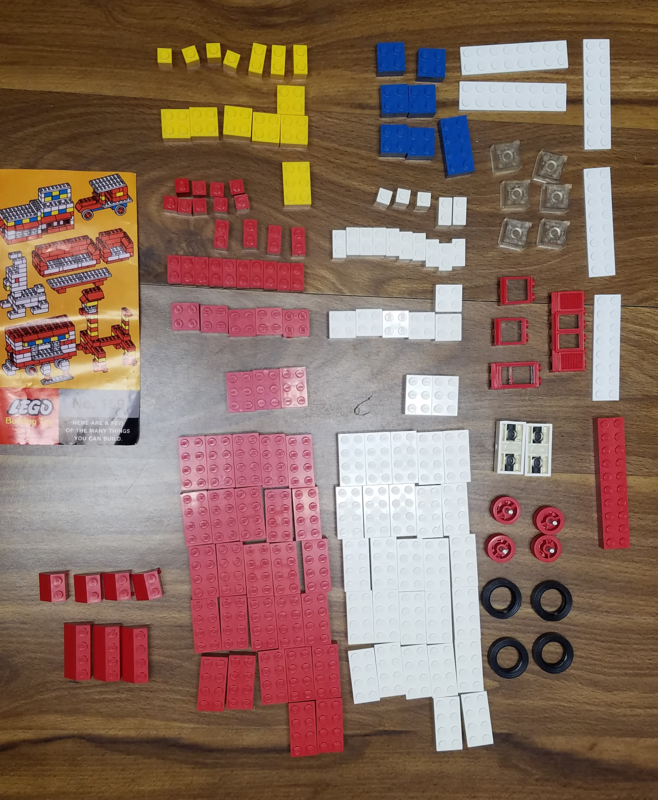 A simple question to ask is how many pieces do you have? Sometimes (not be always) the set number is same as the piece count. And given the similarity to the Life Cereal set 3. My quick look says you have basically the right parts. The ones I can see say Pat Pend, the elements are right basic type and rough mix. I wouldn't read too much if anything to the post mark. What matters with when the box (or more accurately plastic bag) was packed. The promo could have run for a couple of years and the boxes could have been packed years earlier. If these were left overs from the Life Cereal promo, the bags/boxes could be packed as early as '68. Samsonite's numbering continues to be a mystery to me. By '72 they using 4 numbers rather than the early 7 number system, in the catalog sets. My thought has been drop the trailing and you get the set number. But this one is now 5 numbers. :| The problem is we don't have a complete picture of the Samsonite's boxes, promos, or numbering scheme and we're trying to fill in the gaps 45+ years after the fact. I know Istokg has a pretty good grasp of the catalog sets. But I don't think anybody truly has a great picture of the promo sets, as a far number of new ones have become known in recent years. 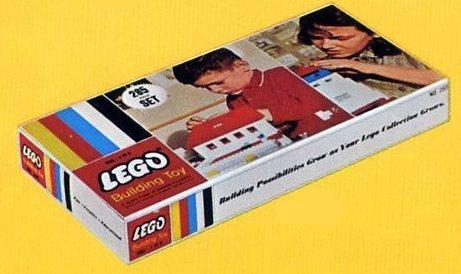 This reminds me of another semi-unknown Kraft promo set I spotted last year on eBay. Here's the thread about that one. Here is a picture of the parts separated out. I think I counted 162 parts. 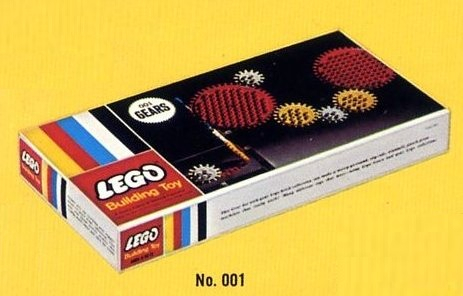 @LusiferSam the back of the 8006 is the standard images of the KRAFT sets. With the set being open the piece count is always in question. I feel that Samsonite was not very systematic in their numbering scheme. Thanks for your input on this set. 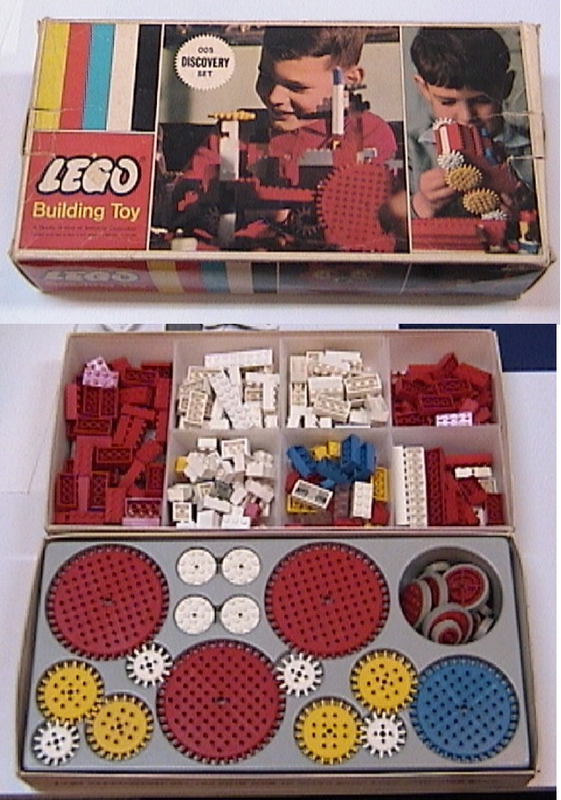 But many of these USA/Canada Samsonite LEGO 1965-73 era promotional sets (I have an entire chapter on promotional sets in my 2800 page Unofficial LEGO Sets/Parts Collectors Guide)... and the set numbers listed in the 8006 catalog vs. what is on the outer shipping box vs. what is on the instructions/model page, is a confusing muddle to be sure... but the part count often (but not always) can be matched up. I have never seen the plain brown outer shipping box for these 2 sets, but I would bet that they would list '62718' and '63678'... where the "6" is the prefix number, and "8" is a suffix number... both of which are internal numbers used by Samsonite. Yes you are correct, I missed that on form 8006, not very observant of me. 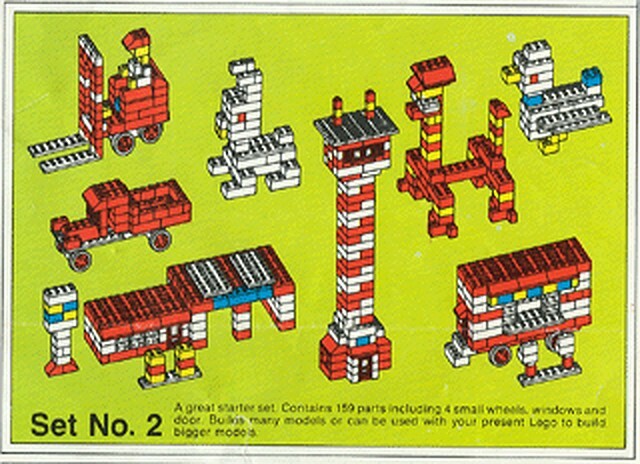 I have a copy of your Unofficial LEGO Sets/Parts Collectors Guide, and I originally looked at chapter 17.1 and found the # 2 Life Cereal Stater Set which I assumed is likely the same set? Part count being the same and many of the models being the same. I never found form 8006 or 8007 in my copy of your book, which chapter was that? I now wish I had paid more attention to the copy of 8006 I have. 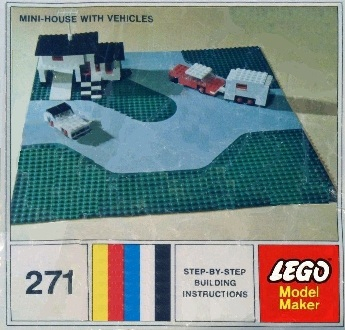 To be fair it was not until I scanned it and blew it up that I could even see the models on the brochure clearly. Is the current version of your book on sale at weebly, newer then my 2014 copy? Thanks again for clearing this up for me. the updates for free (I keep everyone in my email Address Book with a flag set, so when it's ready, I will Email download instructions, like before. I already have over 200 additional promotional sets added for the new version (including 106 Kabaya Sweets Japanese confection sets). 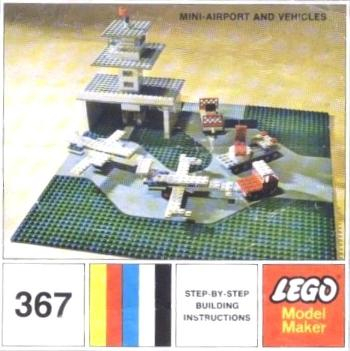 Time for bed, but check in tomorrow, I will have some other old promotional sets with a cryptic brochure (such as 8006) and cardboard shipping boxes that you have do detective work to figure out what it is. 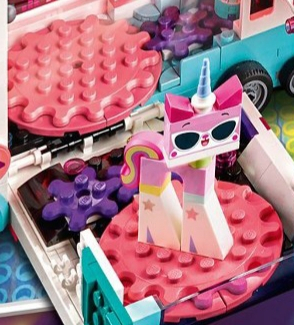 USA/Canada Samsonite LEGO promotional (and department store mail-order) sets are very confusing. The images on the right side are the Oxydol sampler set models you can build using this small plastic bag of parts. 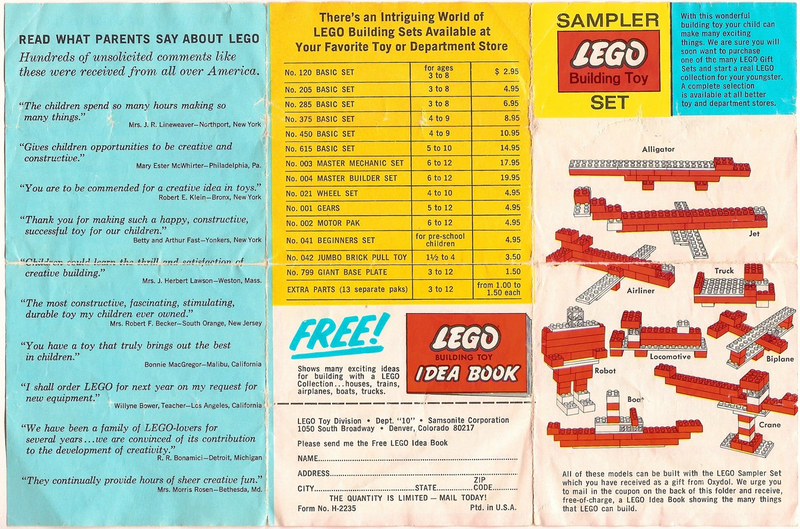 The sets listed in the middle section are the regular Samsonite LEGO sets sold at retailers in 1966-67. 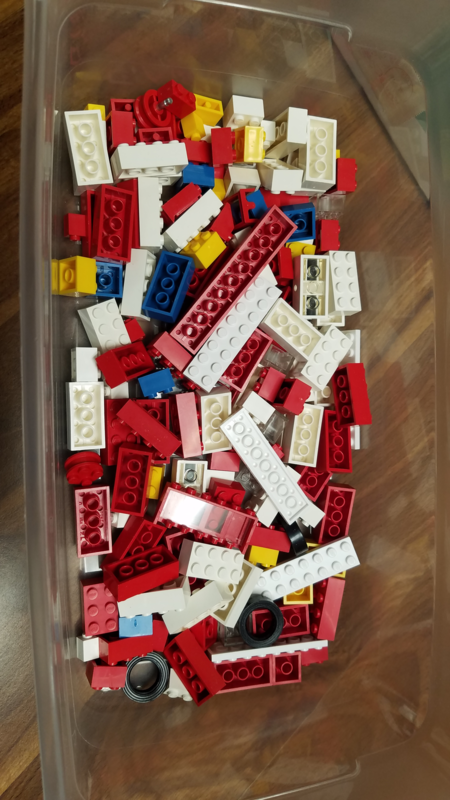 Most (but not all) of these sets had the set number = the parts count. FAO Schwarz was a luxury toy store... and only sold colorful boxes. 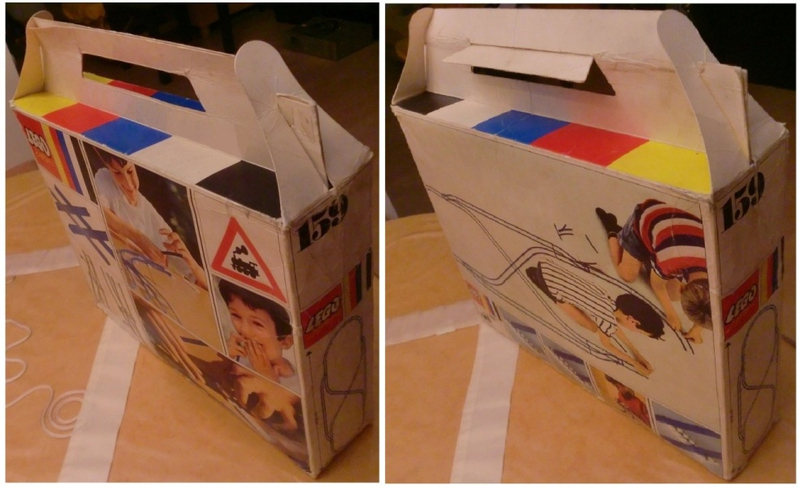 When Samsonite put together limited numbers of these 005 sets for FAO Schwarz, they used a Samsonite LEGO 001 Gear set, and a LEGO 285 Basic Set (only the inner trays), and created a double tray outer 005 box. This again shows how totally confusing these brown box sets are. 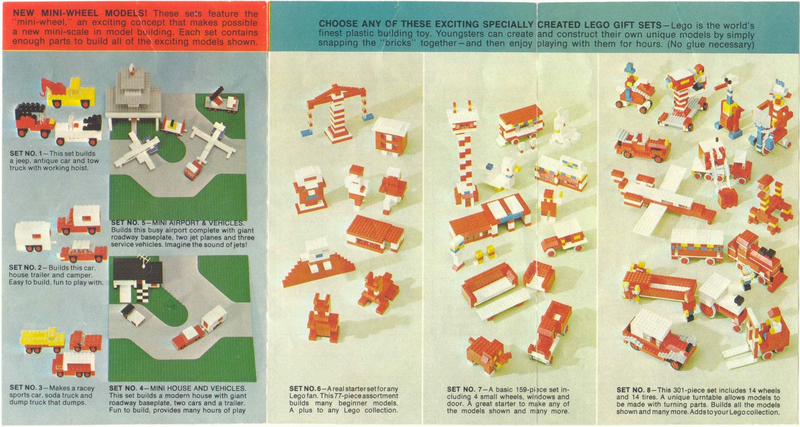 My Unofficial LEGO Sets/Parts Collectors Guide chapters on LEGO promotional sets and Department Store Catalog Mail-Order sets takes a lot of the mystery and confusion out of these quirky USA/Canada sets. Europe/Australia/Asia did not have these "brown box" sets. The next version of my guide (free to current owners) has even more of these mysterious sets. I love how they packed the gears so they interlocked and turned. ^ Except the new set picture I saw showed a six stud wide gear, whereas this set jumps from 4 to 8. Also, the teeth are fatter. 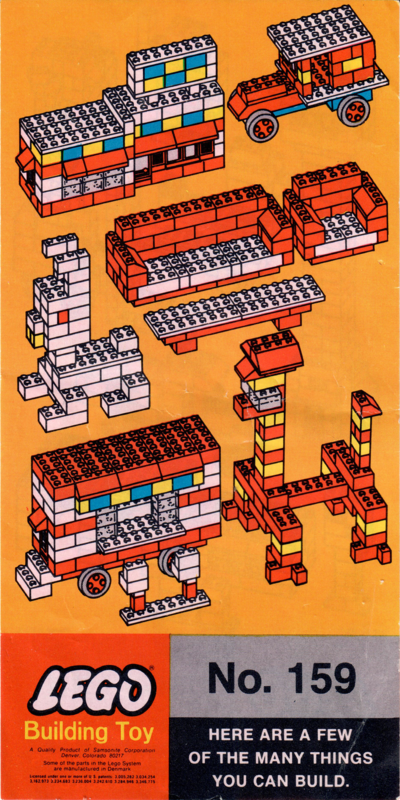 There is a 3rd LEGO set numbered 159, which recently got added to my Unofficial LEGO Sets/Parts Collectors Guide. 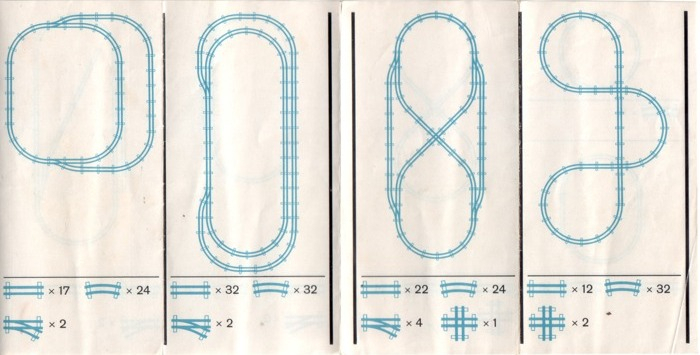 This set 159 is a blue track era set, but it is not the #159 Straight Track with Crossing Set.